Charlotte Richardson ’16 enjoying a chilly day at Arlington Memorial Bridge in Washington, D.C. 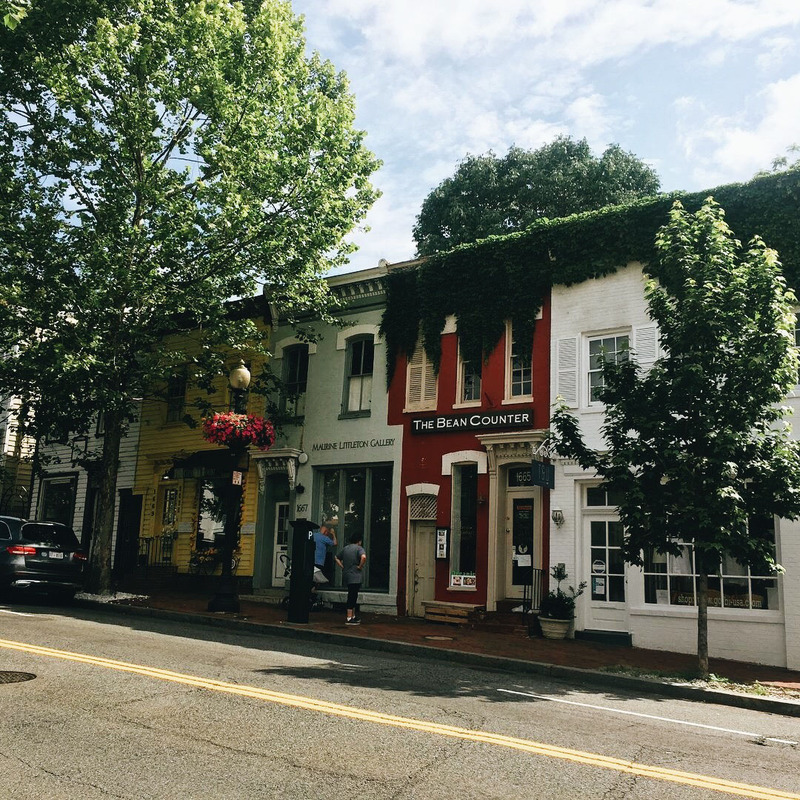 This classic D.C. neighborhood is filled with history and old brick houses. I like to spend my Sunday mornings at the Georgetown flea market, then wind my way down Wisconsin Avenue. My favorite lunch spot is Oki Bowl @ Georgetown. A tiny hole-in-the-wall, this local ramen house is equal parts colorful, eclectic and delicious. Other restaurants to try: Martin’s Tavern, Farmers Fishers Bakers and Chaia. 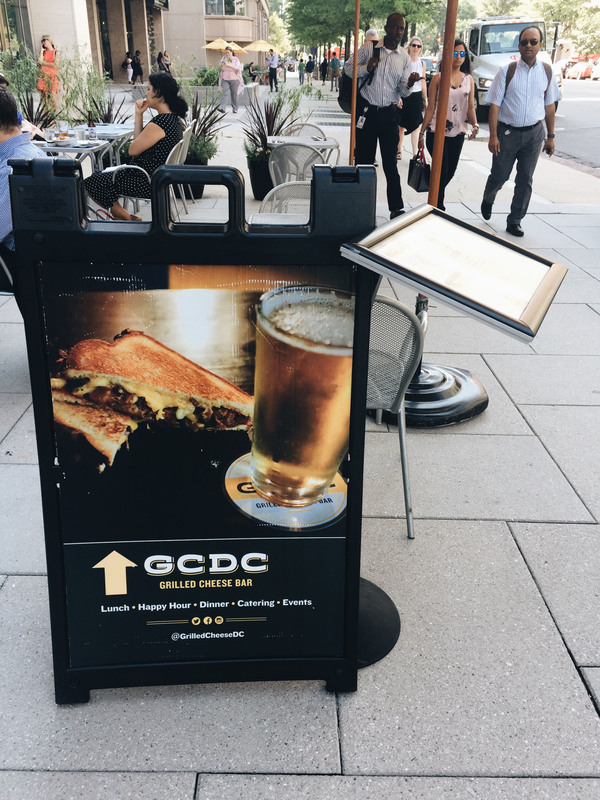 One of my favorite restaurants to frequent is GCDC — D.C.’s only gourmet grilled cheese bar. One block away from the White House and a quick walk from the National Mall, this restaurant serves a vast array of unique grilled cheese sandwiches and is complete with outdoor seating. I recommend the Young American or the French Onion. The sidewalks are lined with endless restaurants, bars, mom and pop shops, concert venues and apartments, but this neighborhood is also home to one of D.C.’s most iconic venues: the 9:30 Club. The list of big-time bands who have graced the stage there is endless, so be sure to see a show for yourself. 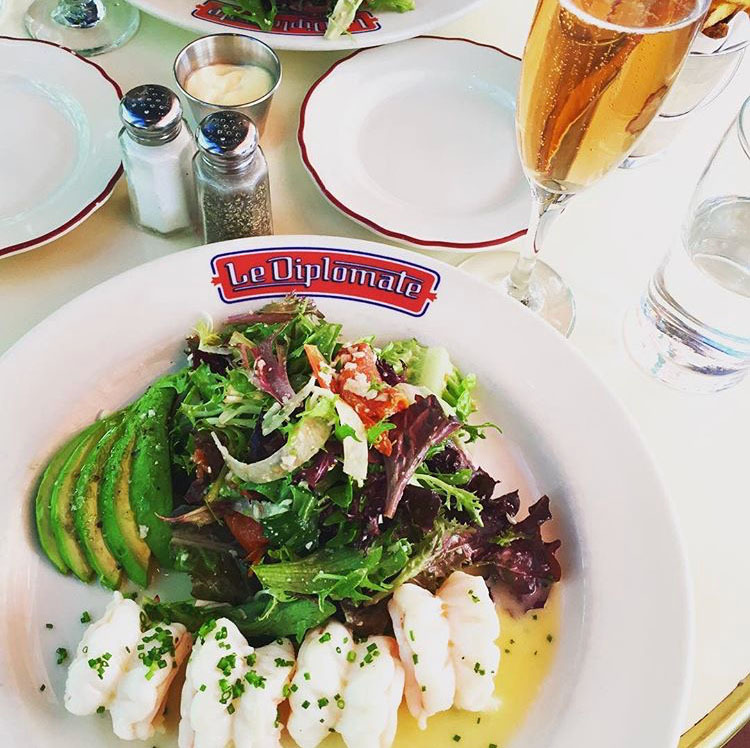 PRO TIP: Make a reservation at Le Diplomate in advance of your visit; this is D.C.’s most popular French restaurant and one of my favorite brunch locations. One of D.C.’s hidden gems, Blagden is an alleyway in the Shaw neighborhood that looks like it’s out of a movie set. Brick pavement and brick buildings give way to dive bars, Michelin-starred restaurants and open-air patios. 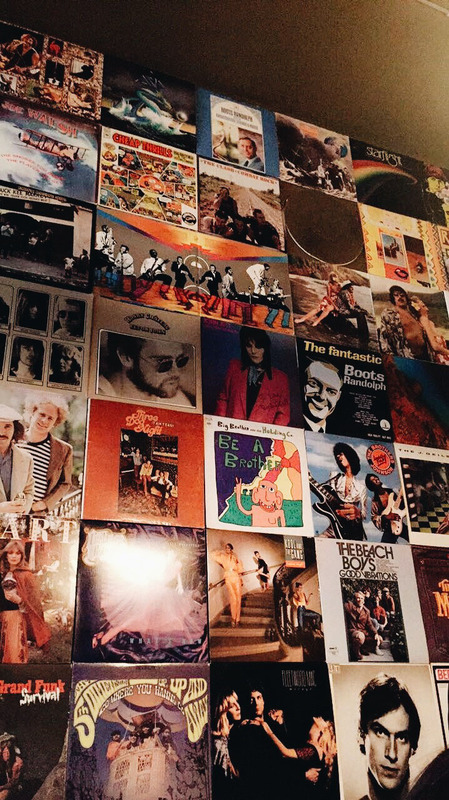 Favorite spots: Calico has a great custom-built wooden patio, Lost & Found if you like a vintage dive bar, and The Dabney for one of the best meals in the city. 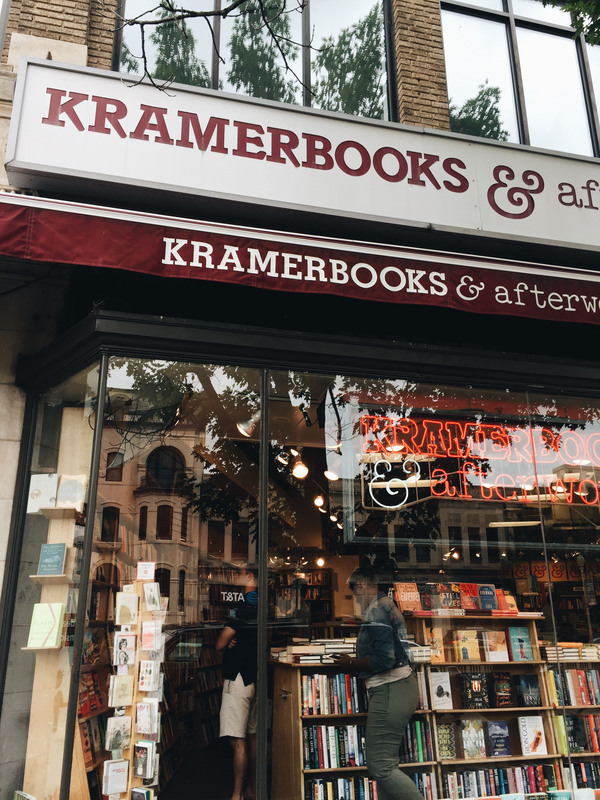 If you’re in Dupont Circle and looking for a place to unwind and grab a cup of coffee, look no further than Kramerbooks & Afterwords Café. Part bookstore, part café, Kramerbooks is my favorite place to browse for new books and escape from the hustle of the city. PRO TIP: Evenings and weekends, they have custom literary cocktails. I recommend The Adventures of Sherbet Holmes. 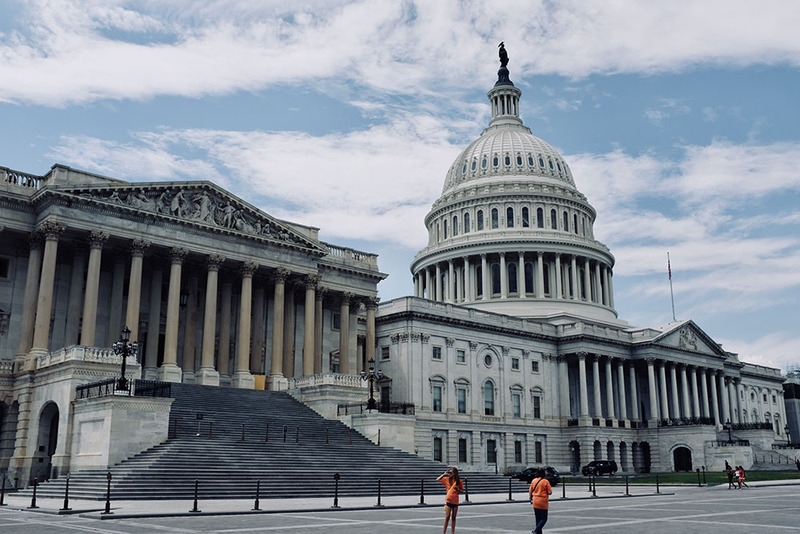 The U.S. Capitol Building in the heart of Washington, D.C.